The Sikundur Monitoring Station, located in the Langkat District of North Sumatra in the Leuser Ecosystem, is the latest of SOCP’s biodiversity monitoring stations. It consists of primarily lowland dipterocarp and alluvial tropical rainforest habitat. The Sikundur area has had a relatively convoluted and dark past, as it was the site of both small-scale and large-scale logging operations between the years 1976-1988, and then again intermittingly in the 1990’s, the majority of which was conducted by the PT Raja Garuda Mas logging company. However, a sizeable amount of Sikundur’s forest habitat was also lost between 1976-1979, under the auspices of the Indonesian Nature Conservation Service (i.e. PHKA, which was then the PHPA), to a project marketed as “habitat rehabilitation”. In 2000, the Leuser Development Programme, which was a co-sponsored (i.e. by the Government of Indonesia and European Union) programme being managed by the Leuser International Foundation (est. 1994) and implemented by a team of Indonesian and European conservationists (i.e. the Leuser Management Unit), started to work in the Sikundur area. Their primary objectives included the management and monitoring of the North Sumatran portion of the Leuser Ecosystem, including the local Sumatran elephant population, and these activities were primarily undertaken by the Leuser Management Unit, until the end of the Leuser Development Programme in 2004. Following the completion of this programme, the Leuser International Foundation assumed responsibility of all management and monitoring activities in Sikundur. Working closely with the Leuser Development Programme and Leuser Management Unit, the Sikundur orangutan population was briefly surveyed between 2000-2001 by Dr. Eva Knop (then from University of Zurich), under the direction of Dr. Serge Wich (then from Utrecht University). 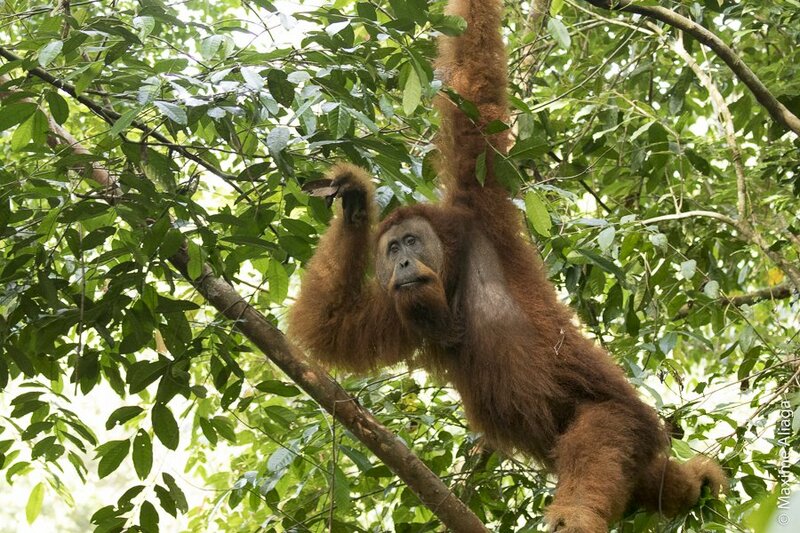 Most importantly, the results of Eva’s study indicated that orangutans could return to live in a habitat that had been previously degraded by logging, as long as forest recovery was sufficient enough to provide the population with an adequate amount of their preferred food resources (i.e. ripe fruits). 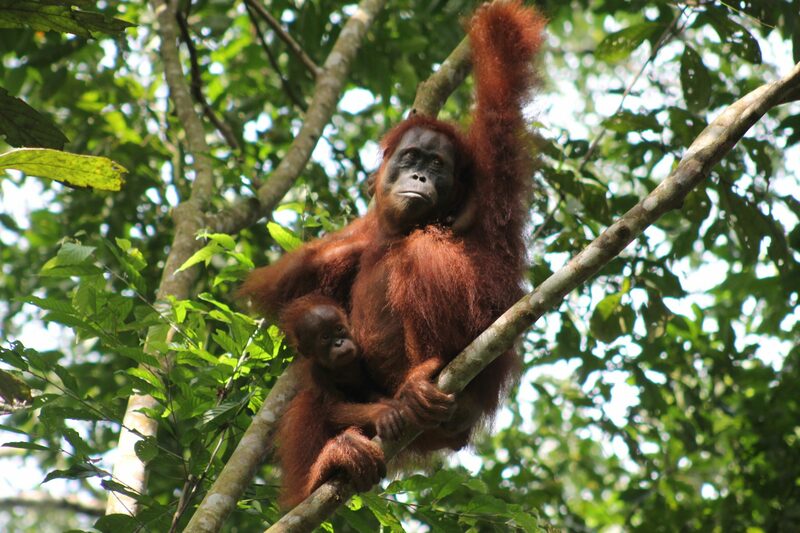 Given the extensive amount of forest degradation and loss that has already taken place in Sumatra, not to mention the anticipated future losses, the orangutan population at Sikundur offers a unique opportunity to evaluate how this Critically Endangered animal is capable of coping with habitat loss and degradation, the study of which promises to help guide future conservation endeavors. For the above reasons, at the end of 2012, the SOCP in collaboration with the Leuser International Foundation, the SOCP, via the PanEco Foundation and Yayasan Ekosistem Lestari, began to search for an adequate location for a long-term orangutan monitoring station in Sikundur. 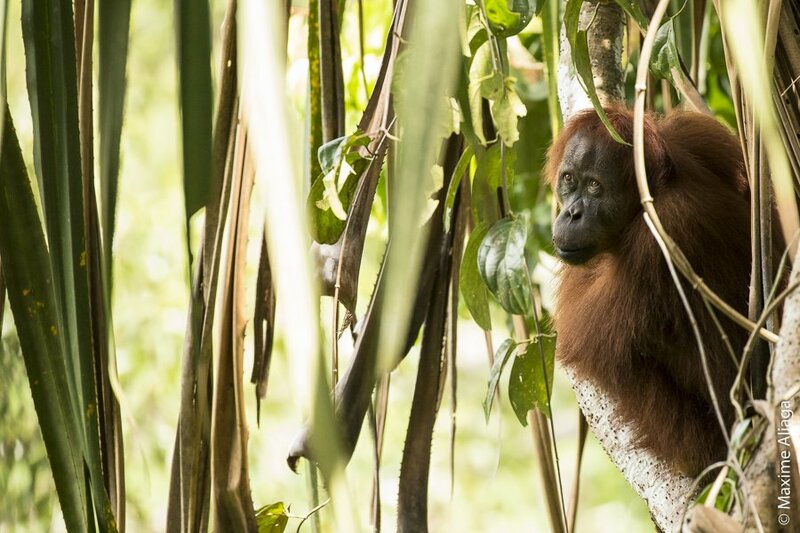 The results of these reconnaissance visits indicated that an adequate study population is maintained near one of Leuser International Foundation’s old monitoring stations. However, the monitoring station has not been used full-time since 2007, and as such, PanEco-SOCP-YEL and the Leuser International Foundation have been working together since the beginning of 2013 to restore the station to its former potential. Long-term monitoring and studies of species and their habitat are integral to understanding their behavioral ecology and conservation needs/threats, especially for such a long-lived and slow reproducing species as orangutans. 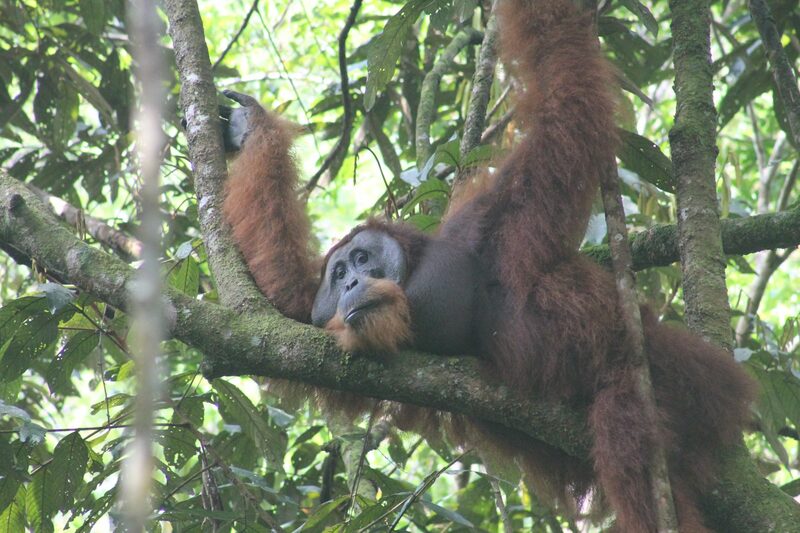 Virtually all long-term monitoring studies of Sumatran orangutans, and indeed all data in recent population viability analyses of the species (Marshall et al., 2009), have utilised ‘high-density’ orangutan populations situated in primary lowland rainforest (Ketambe) and primary peat-swamp forest (Suaq Balimbing). These two sites are regarded as “prime habitats” for Sumatran orangutans (Husson et al., 2009) and historically have suffered relatively lower levels of human disturbance. 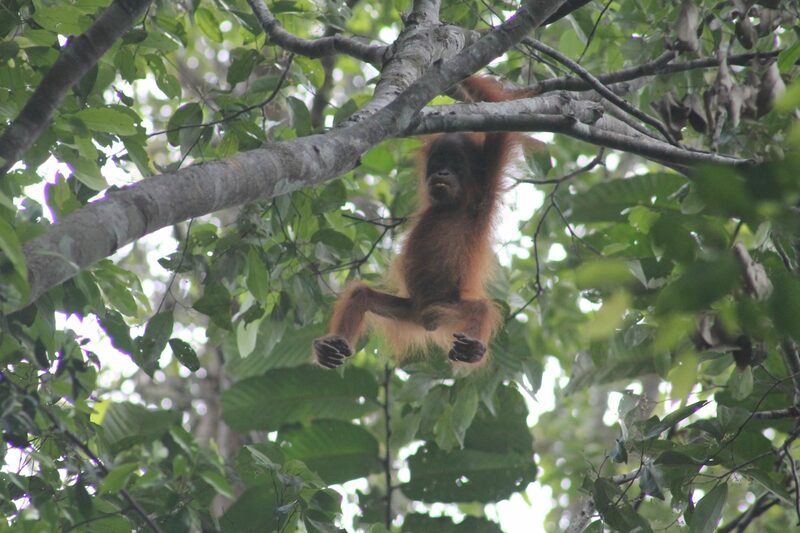 With these sites being long-established and ongoing in a primary forest setting, until recently we have lacked knowledge of Sumatran orangutans in less productive and/or degraded landscapes, and thus also lack a complete grasp of their behavioural, demographic, ecological, and physiological variability - factors vital to understanding their future population viability. The Sikundur station in the Langkat District of North Sumatra is the first orangutan research site on the eastern edge of the Leuser Ecosystem, a region that has been largely ignored by researchers due to low orangutan densities, low habitat productivity, and the presence of significant human development. In 2013, the SOCP renovated an abandoned post within the area and developed a 48km network of trails along with 20 phenological plots. The SOCP currently maintains seven local field staff members, as well as a number of graduate students from national and international universities, who monitor and research the orangutan population and their local forest habitat. Early surveys estimated that the density of orangutans around the monitoring station to be ~1.79 individuals/km2 (Knop et al. 2004; standardised value from Husson et al. 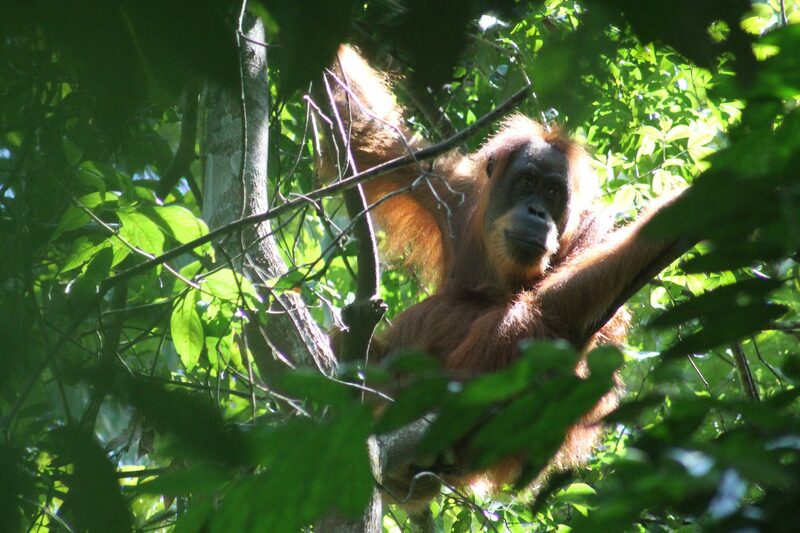 2009), and SOCP has already habituated 20 orangutans, which are regularly followed by the monitoring team. The area around Sikundur is re-growth/secondary forest that was previously logged on both small and large scales from 1976-1988, and intermittently again throughout the 90s (Knop et al. 2004). Until this programme, no long-term behavioural or demographic data has ever been collected from any Sumatran orangutan population in an area that has been allowed to recover in this way. However, despite being fully contained within the Leuser Ecosystem, a National Strategic Area, as well as the Gunung Leuser National Park, part of the Tropical Rainforest Heritage of Sumatra UNESCO World Heritage Site, Sikundur still suffers from logging and encroachment for cash crops. For instance, based on a 2001-2016 remote sensing analysis for Sikundur of forest disturbance/loss in the Langkat District alone, at least 13,776 hectares of forest in the protected Leuser Ecosystem were cleared, with the trend increasing and the highest losses seen in recent years. The speed and scale of the destruction seen is a serious cause for concern, not only for the local communities that depend on the valuable ecosystem services they derive from the forests, but also for the orangutans and countless other species that share the landscape and help maintain the natural processes sustaining the functionality of this ecosystem.